“This Grammar Guru [above] Will Solve the World’s Problems. 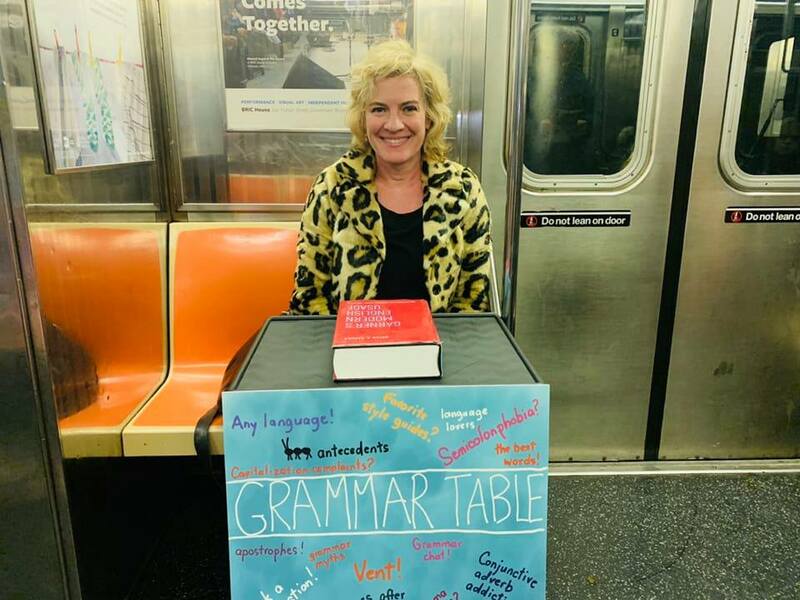 Or, at least, help you figure out when to use an Oxford comma.” The New York Times tells the story of Ellen Jovin’s Grammar Table on the streets of New York City. Glossophilia had its own day in the (Indian) sun over the weekend, taking its place in Telangan Today‘s list of five “blogs that make learning language both fun and instructive.” And even though Glosso’s name was spelled Glossophobia and Glossophia in the piece — hey, we’re loving being in such good company (alongside the likes of Grammarly, Grammar Girl’s Quick & Dirty Tips, Grammar Revolution, and Grammarphobia). The author Jonathan Franzen sent the Twittersphere into a frenzy last week with his ten commandments for novelists. Many writers have commented online in response to Franzen’s rules for aspiring writers. The BBC has the full story. How has famous Scottish DJ Calvin Harris kept his accent? “According to language experts, the question is an interesting one but without an ‘easy, one layered’ answer. BBC Scotland explains all. This entry was posted in Grammar, In the news ..., Poems, prose & song, Pronunciation and tagged best blogs language learning, Best grammar blogs, Ellen Jovin, Grammar Table, Jonathan Franzen rules for writers, Jonathan Franzen Twitter on November 26, 2018 by Louise. It’s Talk Like Shakespeare Day! Louise on Sleight or slight in the magic of the hands?